We’re starting to see a lot of volume coming out of the “online only” real estate auction companies. One in particular is Bid4homes.com, a new initiative launched by the folks at Bid4assets.com focused on the residential real estate market. 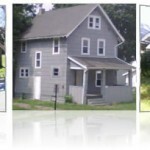 The latest offering is 27 single family homes offered at absolute auction. The homes are scattered across the country but the key to their success may be that the auction house already has a major following on the internet having been in the business for almost a decade. Some offline companies or as we like to call them “on the ground auctioneers” have added online auction components to compete. (Be advised that we are talking about timed auctions, and not live streaming auctions that require a whole separate post to blog about.) We think the trend will gravitate towards both, an online auction for one situation and an on the ground auction for another situation or even a hybrid of both. With the volume of residential property still to come all auction companies will be extremely busy trying to come up with innovative ways to sell and keep the clients happy. Real estate has come quite a long way since the rtc days. I wonder if some of the same carnage that we saw back then will be avoided due to all of the methods avaialable today to quickly dispose of property. Today’s situation isn’t the same as RTC. There was a much greater sense of urgency to dipose of property back then. The banks are holding on to everything just waiting for a government bailout or another bank buyout. « Vacation Homes: The First to Go!